Tomotaka Takahashi’s first miniature walking, talking home-robot Robi was notable not only for being sold as a subscription-based DIY kit, but also for its lack of practical function. Robi’s focus was on expressing emotions and being a companion. 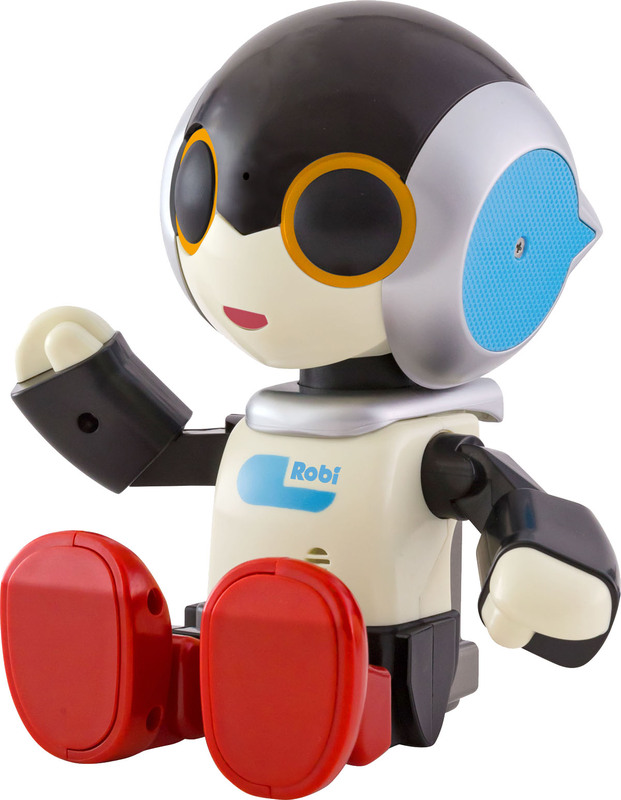 Since then, Takara Tomy has produced Robi Jr. — an even smaller robot that can kick its feet, tell stories, use more than 1,000 phrases and sing around 50 songs. 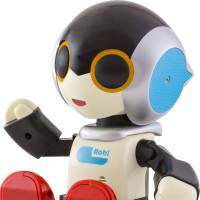 Myroom Robi has a set of four sensors that monitor its environment to trigger responses. Its TV remote sensor lets it know that you’re about to settle in to a show and it will ask if it can join you to watch it; a temperature sensor may trigger a sneeze and comment on the cold; a motion sensor lets it know you are nearby; and when it gets dark, a light sensor may illicit a “Good night” response. It also sings songs, plays simple games, can tell your fortune and adjusts its use of more than 2,000 phrases according to the season. But how is it “useful” you ask? Unlike the other Robis, Myroom Robi can sync to a personal calendar and let you know what’s coming up on your schedule. 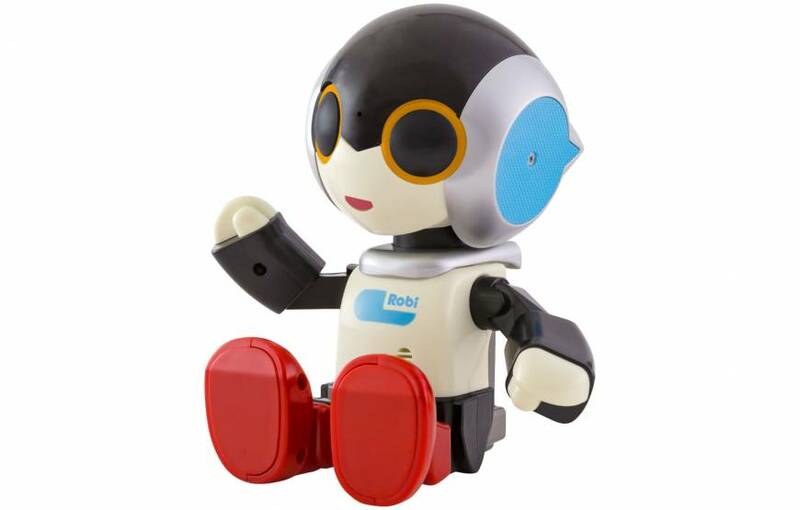 Though not cheap at ¥10,584, Myroom Robi is more reasonably priced that the original Robi and is small enough to run on four AAA batteries. The FamilyMemo app addresses that age-old problem of returning from the supermarket and realizing that you forgot to buy something important. By sharing your shopping list with all members of the family, it aims to ensure that someone will get necessities should you have no time, or if you forget. Essentially it’s just a way of keeping good old-fashioned shopping lists (they even have check boxes), except, being on your smartphone, they can be made accessible to anyone you choose to share them with. This means when an item is added or checked-off a list, everyone will be notified. Members can be invited to shared lists by scanning unique QR codes provided by the app, and private lists can also be made, with each memo kept in a separate tab for easy access. FamilyMemo is available in Japanese and English on iOS and is free, though the Android version has yet to be announced. From 2020, computer programming will become a compulsory subject at elementary schools in Japan and some toy and app manufacturers have already produced games and tools to help kids start learning from an early age. But adults, too, could do with a little help. 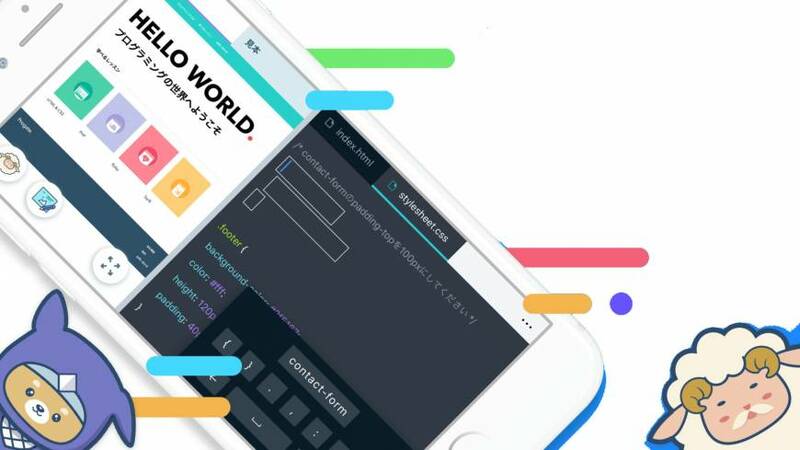 Progate launched an online programming learning service aimed at beginners to intermediates in 2014, later releasing an English beginners version in 2017. This year, it has released an iOS app for those who want to learn while on the go. Progate uses simple-to-understand slides to illustrate its lessons and has gamified the process to include quizzes and levels. For the iPhone version, a specialized keyboard is used to prevent mistyping, but the premise is the same. Practice sessions include real-time responses, making it easy to check progress and learn from mistakes, while cute characters are used to represent levels and help familiarize users with them. Languages available to learn include HTML, CSS and Ruby. At the moment, the app is only available in Japanese and for iOS, but an Android version is in the works. It is free to download, but will become subscription based with future updates.